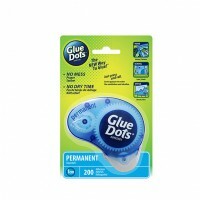 The new way to glue, just press and roll. Use anywhere you need a quick, temporary bond. 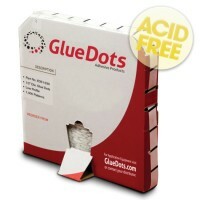 Bonds to virtually any surface ! 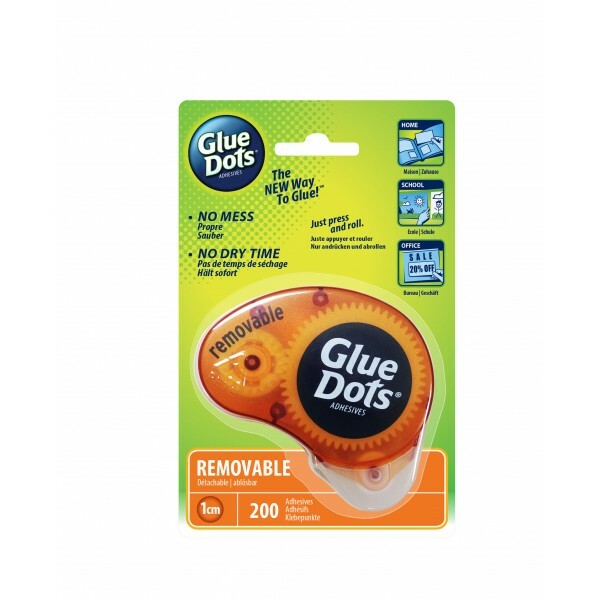 10 handy applicators each with 200x10mm (2000 dots) diameter removable adhesive glue dots, ideal for applying credit cards / CD's to letter and magazines. Removable for temporary fixing. Used extensively in the Arts and Crafts fields covering off many applications for bonding of fabrics, paper, card, cork, buttons, string, foil, tin cans, bottle tops, plastics, cork, ribbons, board, novelty and gift items, the list just goes on. 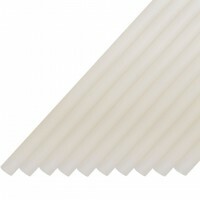 Art and crafts markets encompasses a vast range of creative ideas, challenging materials and we have the sticking power!